John S. Schnepp (1866-1954) was a lawyer, real estate developer and two-time mayor of Springfield. He also was an embezzler and philanderer. With his thefts on the verge of exposure in January 1932, Schnepp disappeared. Discovered three years later selling newspapers on the streets of Los Angeles, he claimed he had suffered from amnesia the entire time. A jury didn’t buy it, and Schnepp spent two years in state prison. The collapse of Schnepp’s real estate business cost local investors a total as much as $700,000 – reportedly for some of them, their life savings. Nonetheless, following his early release from prison, Schnepp returned to his family, and Springfield treated him like something of an elder statesman for the remaining 27 years of his life. He also seems to have recovered his memory – if, indeed, he ever really lost it. 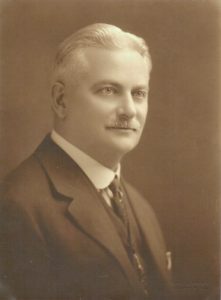 Schnepp, a Democrat, had never held office before running for mayor in 1909. With the election less than a year after the Springfield race riot, both Schnepp and his Republican opponent, Lawrence Y. Sherman (later a U.S. senator), ran as reform candidates. The key to Schnepp’s victory may have been the Sunday (April 4, 1909) before the election. Schnepp attended Billy Sunday’s revival meeting, then under way at First and Adams streets. Sherman, meanwhile, sought votes from 70 Italian-Americans attending a “beer party” at 819 E. Washington St., in the heart of the Levee vice district. The Illinois State Register, which supported Schnepp, exploited the contrast, and Schnepp won by 300 votes. “The election of Schnepp, Davidson, Hamilton, Spaulding and Coe as the members of Springfield’s first commission is victory for the combination of forces in the city’s body politic which is representative of the best interests,” the paper said. Schnepp fell out with Spaulding on a number of issues over the next four years and, perhaps as a result, narrowly lost a bid for a third term to Charles Bauman in 1915. Bauman soundly defeated Schnepp again in 1919. Schnepp, meanwhile, had never given up his real estate business, buying and selling property for himself as well as others. His best-known development, the Schnepp Block, which runs along the south side of the 300 block of East Adams Street, is an official city landmark. It consists of 12 individual storefronts veneered with brick and limestone so the block appears to be a single building. The Schnepp Block was constructed in 1912, during Schnepp’s second term as mayor. After his re-election loss in 1919, Schnepp bought 1,100 frontage feet of land along Williams Boulevard between Walnut and West Grand Avenue (today’s MacArthur Boulevard). 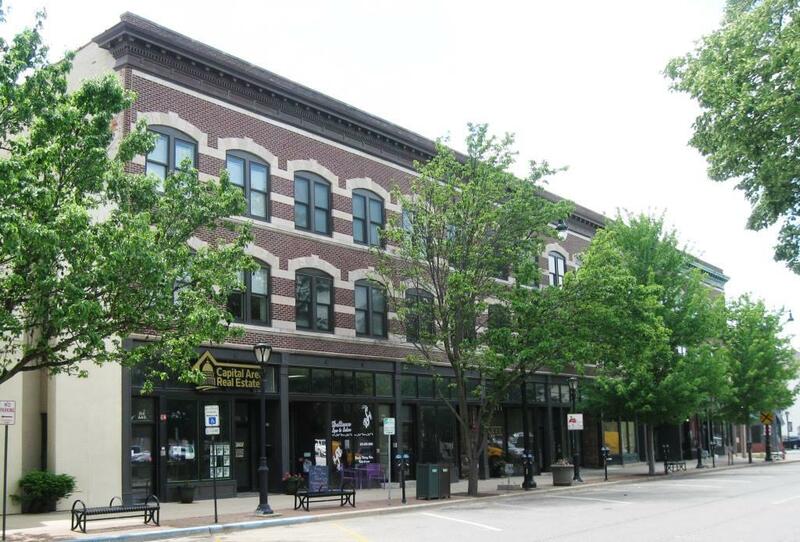 At a price of $110,000, the purchase was said to be the largest single residential real estate deal ever in Springfield. The area (today’s 600, 700, 800 and 900 blocks of Williams) remains one of the city’s most prestigious neighborhoods. As an attorney, Schnepp concentrated on probate, guardianship and real estate law. It was his law practice that eventually sent him to prison, although most of those who lost money in his deals probably were investors in his realty projects. 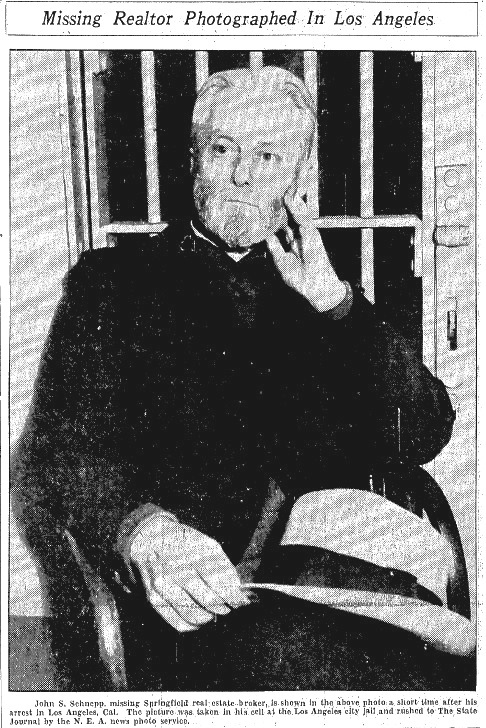 After Schepp’s arrest in California in 1935, an Illinois State Journal writer suggested Schnepp attracted investors with his open, seemingly honest face. The countenance of Schnepp, plus his intelligence, his native ability and a good education constituted the asset on which he built a reputation and acquired holdings which rated him as one of the rich men of the community. It attracted to him hundreds who, without question or misgivings of any sort, entrusted to him their money and the most important of their obligations. It gave him practically unlimited credit and the almost childish confidence of jurists. His word was good and his bond was accepted as the highest type of security. It’s not totally clear from newspaper accounts what brought about the collapse of Schnepp’s business. The Great Depression probably didn’t help, but Schnepp also guessed wrong about the location of Lake Springfield – he bought land along the South Fork of the Sangamon River, thinking that was where the lake would be built, but Spaulding instead chose the area of Horse and Brush creeks. In any case, according to later investigations, Schnepp may have begun shuffling money among accounts as early as the mid-1920s. Plus, it was disclosed after he disappeared, Schnepp, under the name “John L. Shepherd,” had been supporting a second family in California. Schnepp’s predicament came to a head when Sangamon County Probate Judge Benjamin DeBoice (1889-1982) began examining the estate of Mary M. Ettinger, for which Schnepp had been conservator. DeBoice ordered Schnepp to provide a full accounting for the estate. Schnepp claimed $20,000 from a bond sale was in a local bank, and DeBoice ordered that the money be invested in government bonds. Schnepp asked if, instead, he could put it into a real estate development. However, DeBoice learned that Schnepp himself held title to the property in question. By now thoroughly suspicious, DeBoice called Schnepp into his office on Friday, Jan. 29, 1932. DeBoice later described the dramatic confrontation to the Journal. “This money is not in the bank, is it?” Judge DeBoice asked. Schnepp hesitated, (DeBoice) said, and responded very frankly. “Where is it?” Judge DeBoice asked. “I used it,” DeBoice said Schnepp replied. “How long will it take you to return it to the estate?” was the court’s next question. “I’ll have it returned by Monday,” DeBoice said Schnepp told him without any hesitation. By Monday, however, Schnepp had disappeared from Springfield, and his creditors and investors were scrambling to figure out where their funds had gone. Estimates eventually were that several hundred people and institutions were short something around $700,000. The secured investors got title to some of Schnepp’s former properties, but the unsecured creditors – down to a city jail turnkey who had put several hundred dollars into a Schnepp deal – got back only 1.5 percent of the $562,000 they were owed. According to Schnepp, he “woke up” in a Houston, Texas hospital a few weeks after leaving Springfield, unable to remember who he was or how he got there. He supposedly spent the next three years in a fog of amnesia, wandering the U.S. and working at jobs like advertising sandwich man, shoestring salesman and newsboy. Schnepp said he picked jobs that put him in contact with the public in hopes that, someday, an acquaintance from his earlier life would see him and tell him who he was. At one point in 1933, he said, he even traveled through Springfield without realizing it was his home town. Later, however, a lie detector test and examinations by mental health experts turned up inconsistencies in Schnepp’s claims of amnesia. So did a report from the Houston hospital, where officials said Schnepp, claiming to be “John Shepherd,” had been able to tell them details of his past medical history. Schnepp’s use of the “John Shepherd” alias also raised questions about the validity of his supposed amnesia. Police in Los Angeles said they believed that Schnepp, using the name Shepherd, had maintained a second household with a woman and her two children in San Diego and L.A. from 1930 until early 1932. Schnepp/Shepherd apparently broke off the relationship about the time he vanished from Springfield. According to Logan, he wrote “Mrs. Shepherd” that he needed to undergo a major operation. A Los Angeles police captain told the Journal he believed Schnepp and Shepherd were the same man, but that investigators there would leave further investigation of the Shepherd connection to Illinois authorities, “if they desired.” There apparently was no followup. Shown photos of the Shepherd family, Schnepp said he didn’t think he resembled the man in the photos and said he didn’t remember any such liaison. Schnepp went on trial for the Ettinger embezzlement on April 28, 1935. He never testified on his own behalf; his defense was based on character witnesses and the argument that Schnepp’s use of Ettinger’s money wasn’t technically embezzlement. Judge L.E. Stone threw out the technical claim, and the jury found Schnepp guilty after a four-day trial. Stone sentenced Schnepp to one to 10 years in the state penitentiary. He was paroled in July 1937, after serving a little over two years. Schnepp moved back home with his family and largely stayed out of the limelight for the rest of his life. Two novels – A Madman’s Romance and She Coveted Him – that he wrote during his wanderings, and which he hoped would sell well enough that he could pay his debts, went unpublished. Springfield also largely forgot the Schnepp scandal – none of the relatively few stories the Illinois State Journal published about Schnepp after his parole, including his obituary, even mentioned the embezzlement or his amnesia claims. Schnepp’s memory, however, seems to have revived. In 1950, Mayor Harry Eielson invited Schnepp and the city’s other surviving mayors to dinner at the Leland Hotel. At the event, Eielson asked the former mayors to name the two most interesting visitors to Springfield during their terms in office. Illinois State Journal editor/publisher J. Emil Smith (another former mayor and guest at the dinner) recounted the answers in his daily column, “Making Conversation,” for July 3, 1950. Schnepp first named Teddy Roosevelt. This entry was posted in Buildings, Business, Crime and vice, Local government, Prominent figures. Bookmark the permalink.